October 24, 2016 Alice in Chains, Bob Dylan, Jimi Hendrix, Record Store Day, Run-D.M.C. 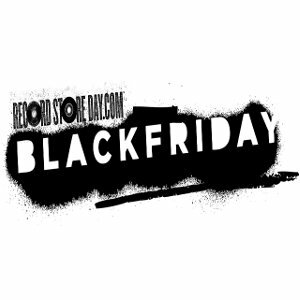 While not as big as the spring Record Store Day, the organization;s Black Friday event is getting more and more exclusives for those who don't want to fight the crowds at normal retailers. The special event salutes and gives collectors incentive to visit their local independent record store and, this year, Legacy Recordings is releasing a few exclusives in vinyl for the collectors of veteran artists. The Run-D.M.C. hip hop holiday classic, Christmas In Hollis c/w Peter Piper (the lead-in track on 1986's Raising Hell) on a 12" vinyl two-sided color picture disc featuring a Yuletide portrait of Run-D.M.C. on Side A and the group's iconic logo on Side B. This disc includes a previously unreleased instrumental version of Christmas In Hollis. Jimi Hendrix' Morning Symphony Ideas is an official 'bootleg' which places its focus on Jimi's songwriting and his unique approach toward developing new material in the recording studio. This collection presents Jimi's funk forays with Billy Cox and Buddy Miles, three shining examples of Jimi's work in progress from late 1969. Jungle was recorded at the Record Plant on November 14, 1969. Side Two features a September 1969 session with Hendrix again joined by Miles yielding a vigorous then-new interpretation of Room Full Of Mirrors, a song Hendrix had attempted previously going as far back as August 1968 sessions at Electric Ladyland. During the same December 1969 Record Plant session which produced Message To Love and Earth Blues, Jimi put forward the funky groove which fans and bootleggers alike have come to know as "Strato Strut," included as the third cut on Morning Symphony Ideas. Also coming from Legacy is a South Park Christmas album, Mr. Hankey's Christmas Classics and, for the kids, My Little Pony's Explore Equestria Greatest Hits.